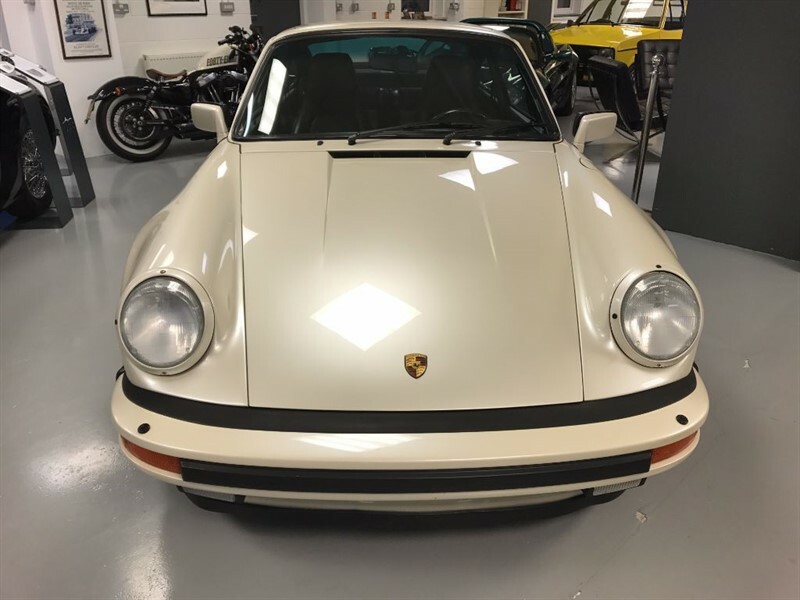 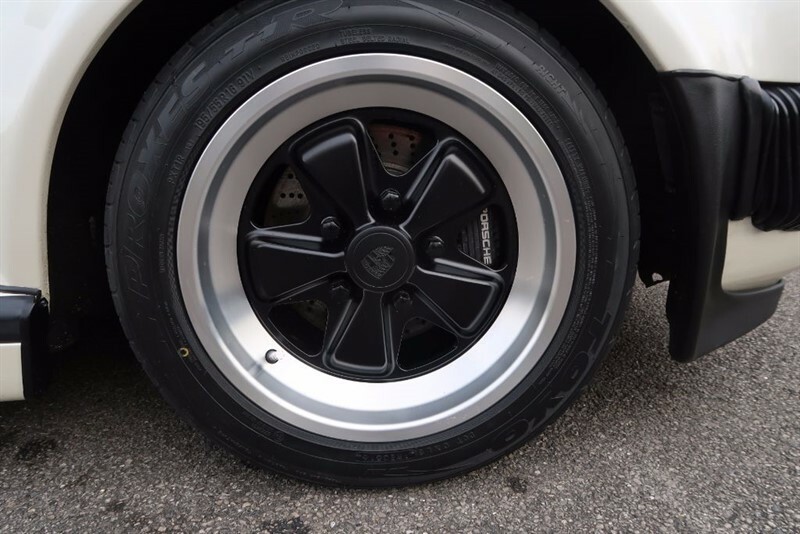 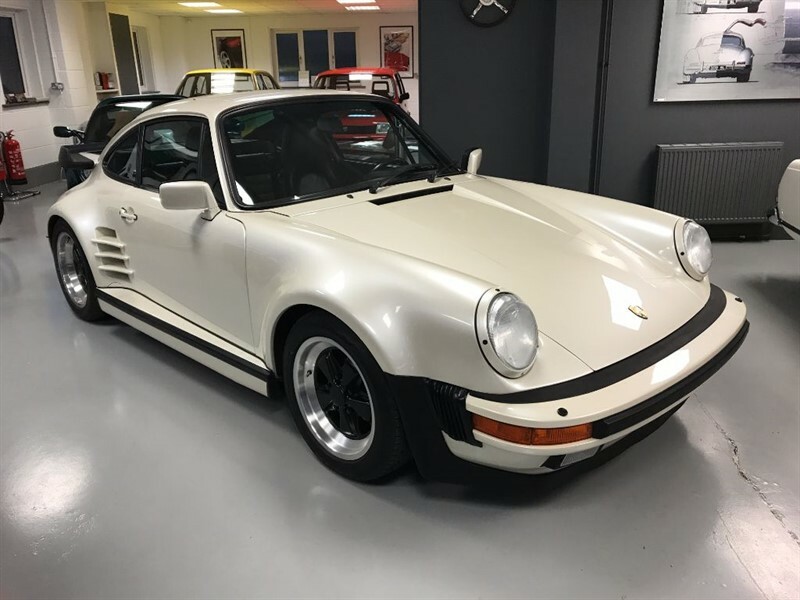 The Porsche 930 series 911 Turbo was the first series of high performance 911's produced from 1975. 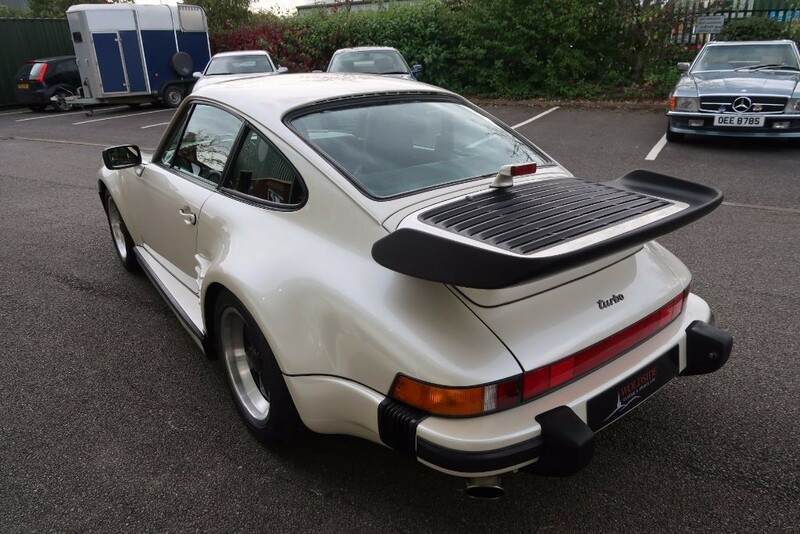 Originally powered by a flat 6 cylinder 3.0ltr engine, power was 256HP fed to the rear wheels via a four speed manual gearbox. 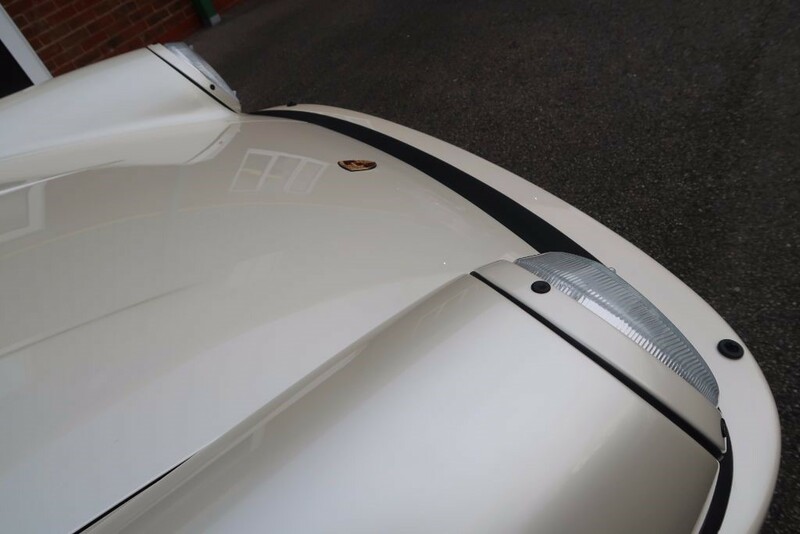 When introduced this was the fastest production car in Germany and was soon nicknamed 'The Widowmaker'. 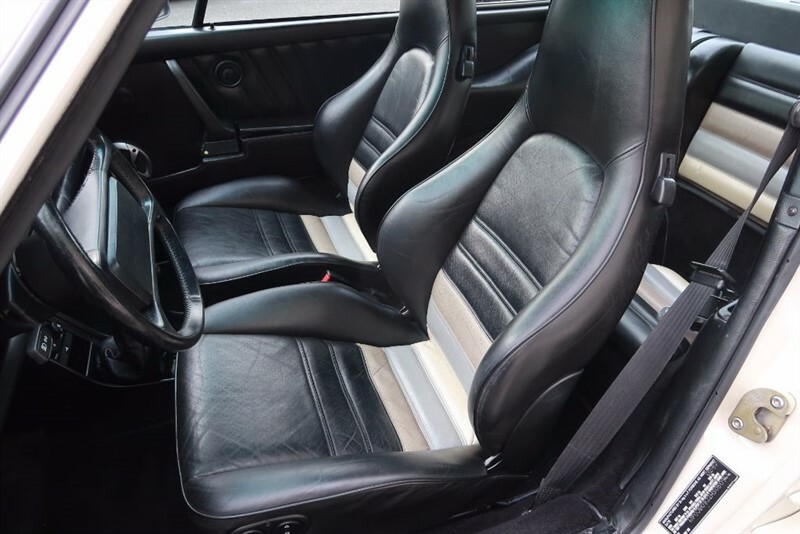 As the car evolved, the most significant improvement was in 1978. 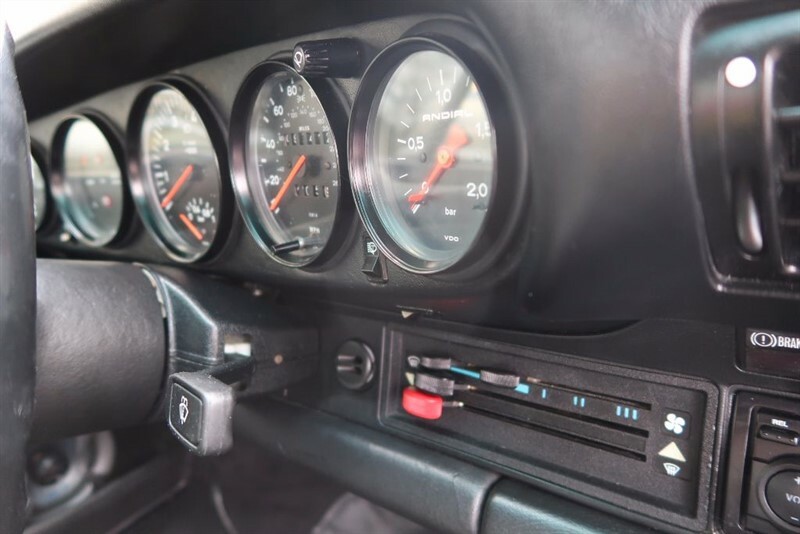 The engine capacity was raised to 3.3ltr with the addition of an intercooler and the brakes were improved - power was now 300HP, the top speed was 173mph and the 0 to 60mph sprint took just 4.6 seconds. 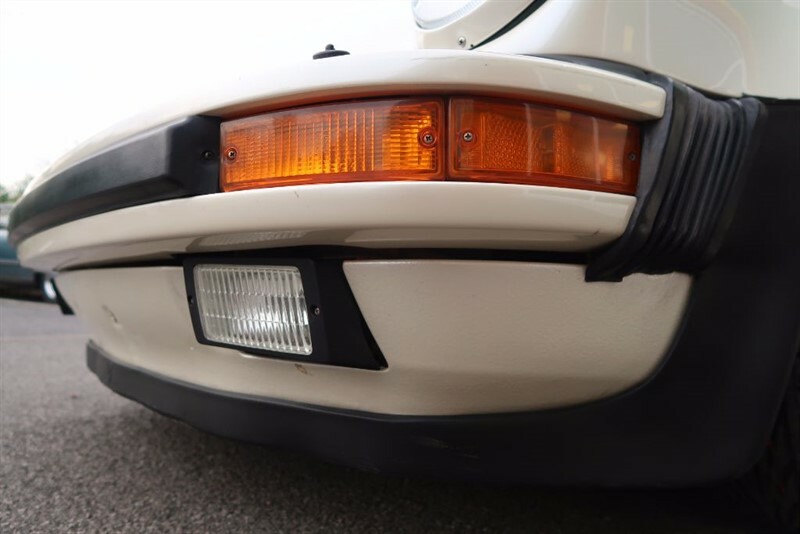 Production ceased in 1989 with the introduction of the 964 series. 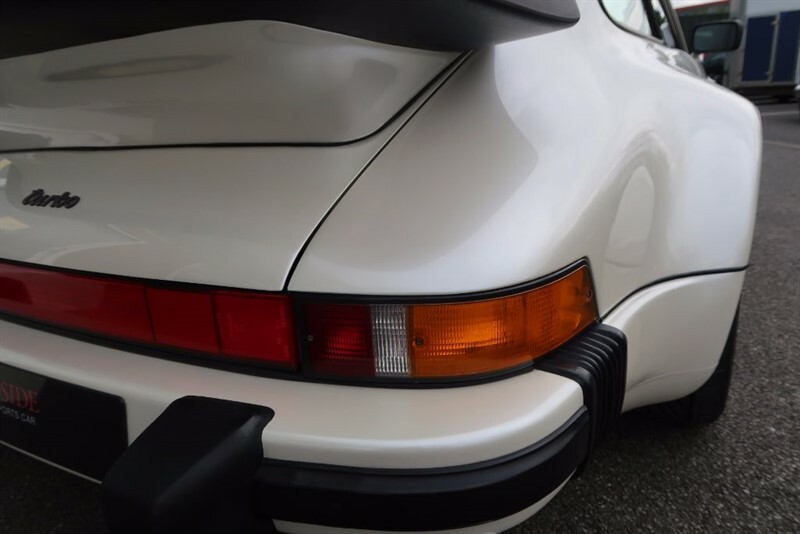 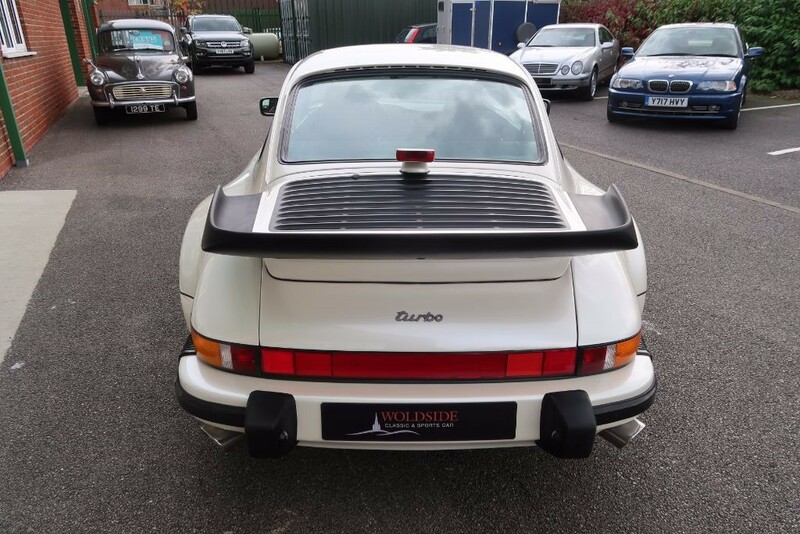 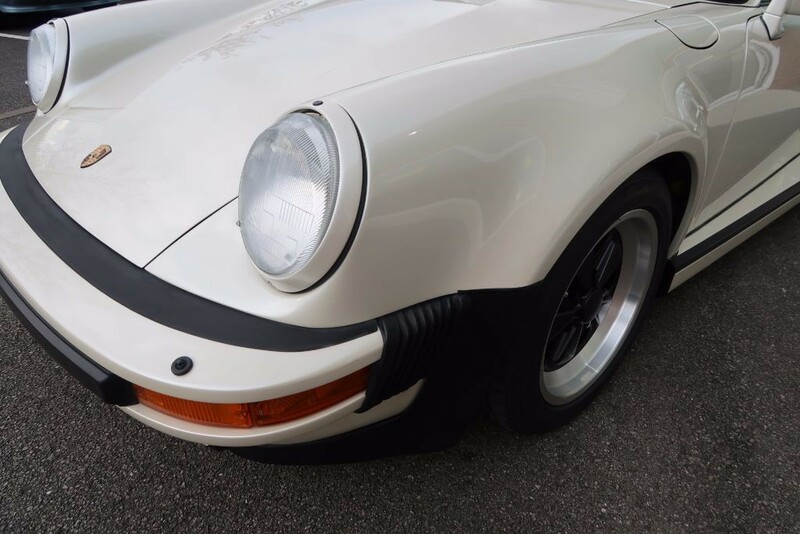 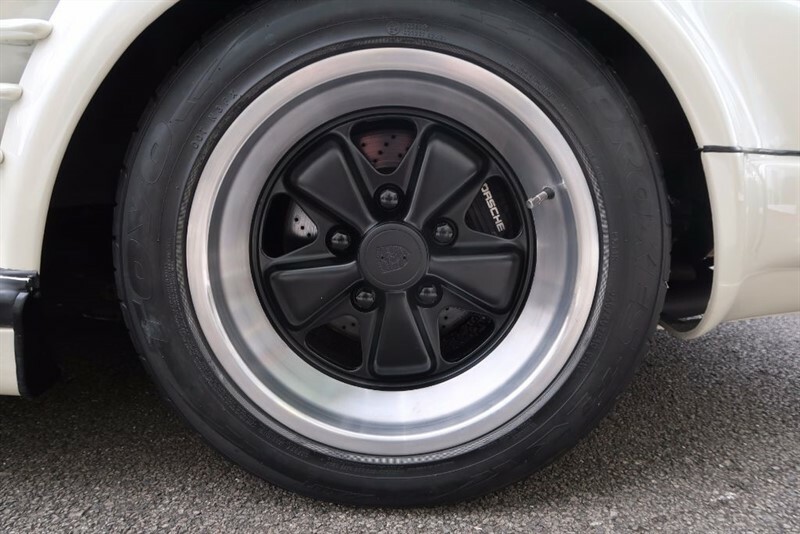 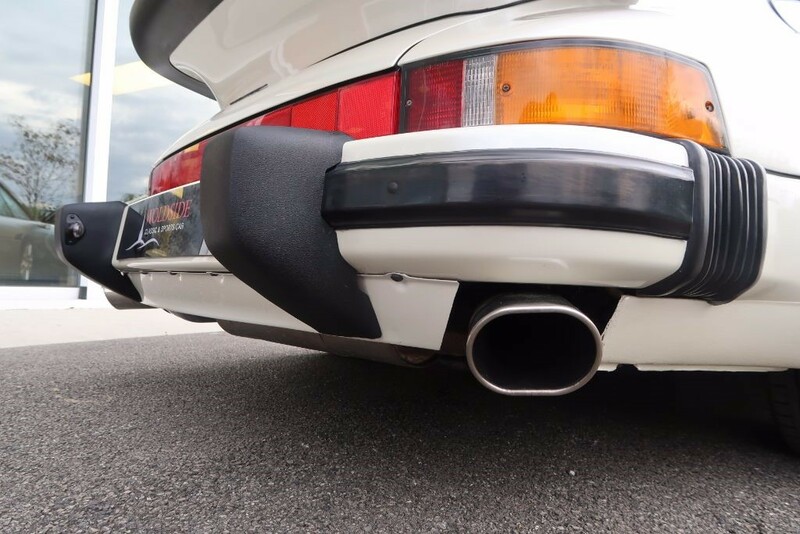 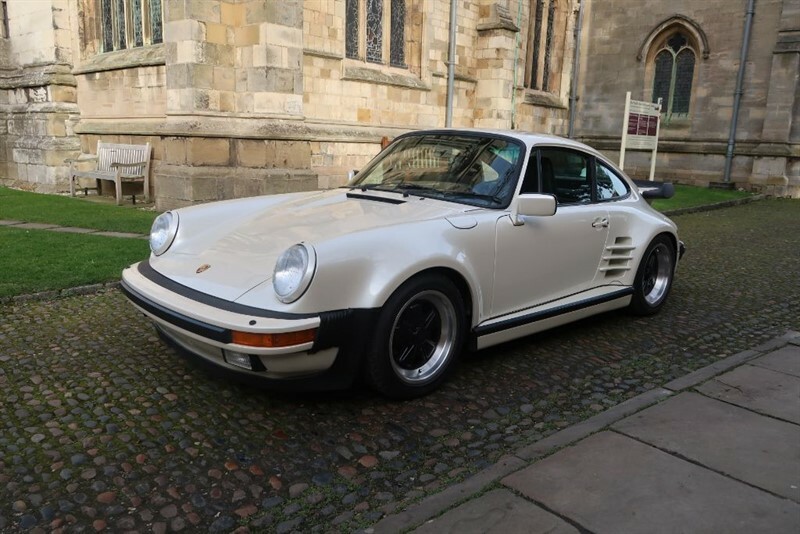 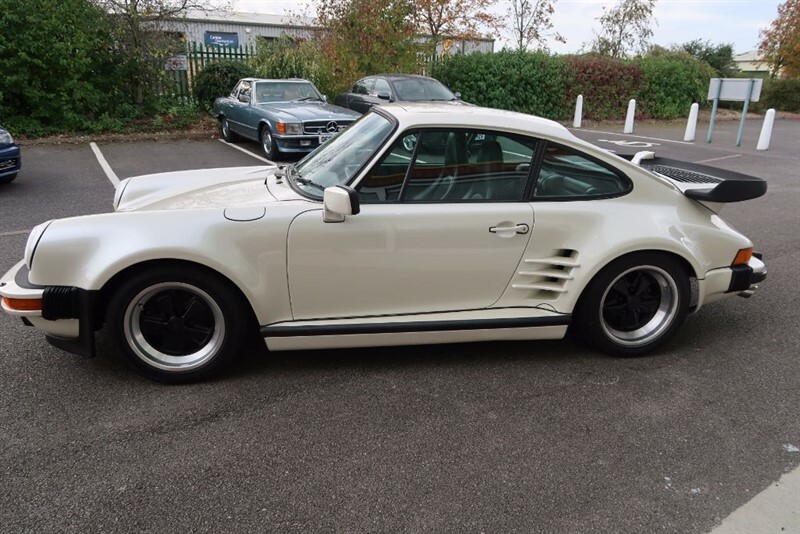 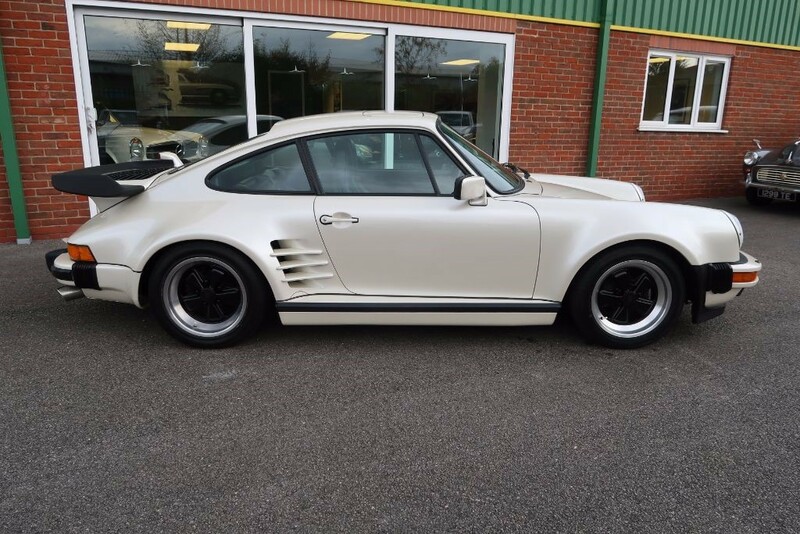 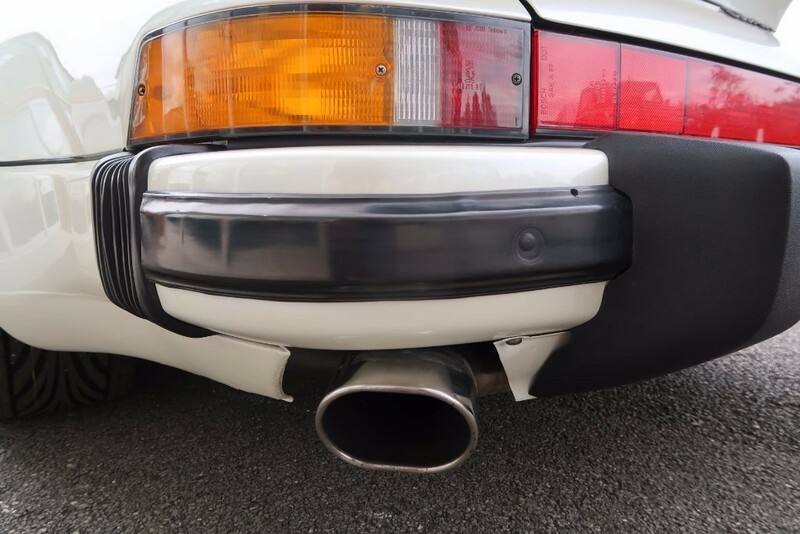 The turbo version was available from 1991 using a modified 3.3ltr unit as per the 930, now with a 5 speed manual gearbox. 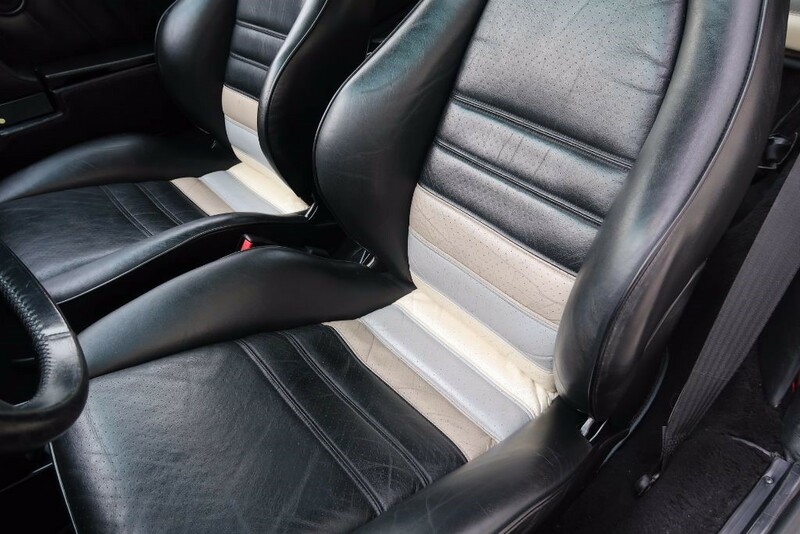 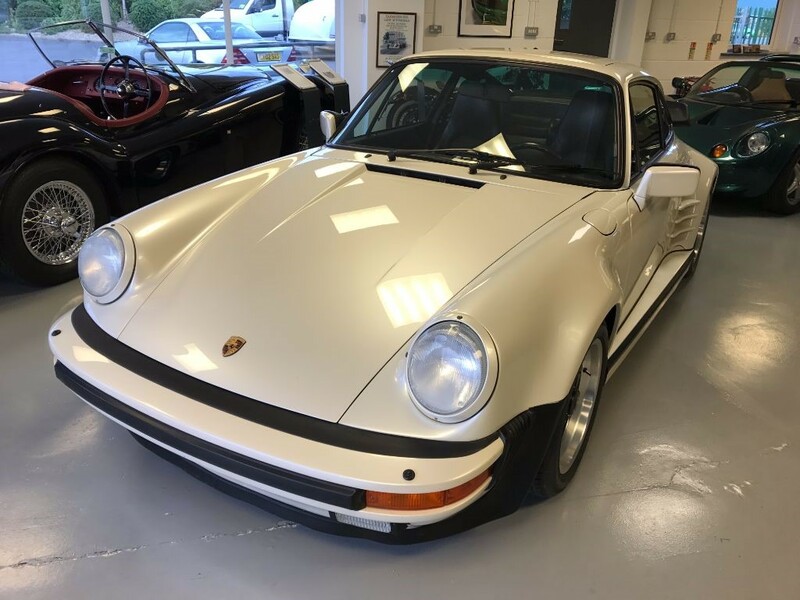 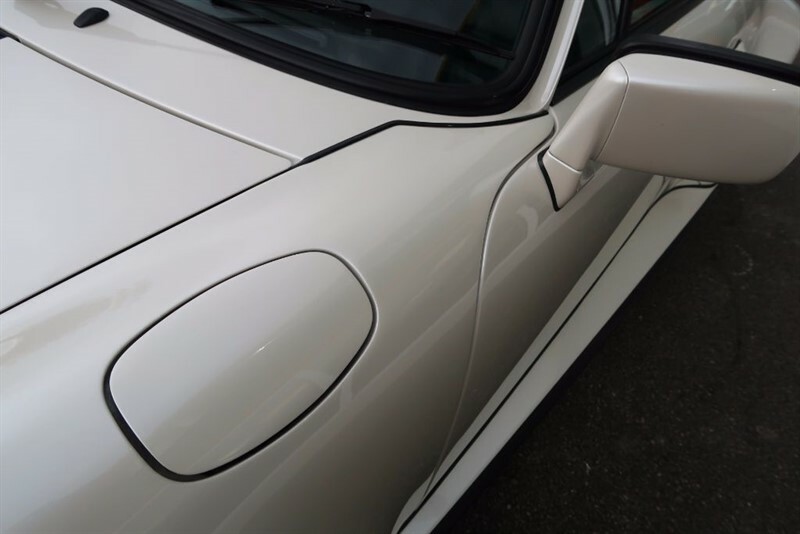 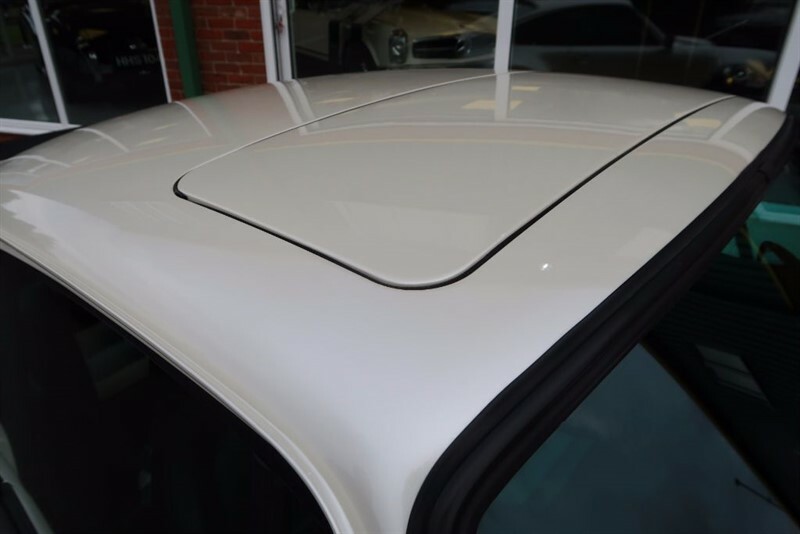 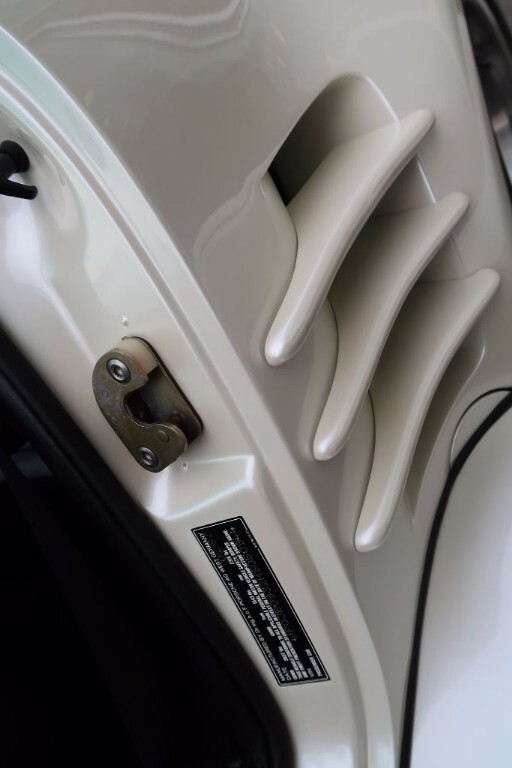 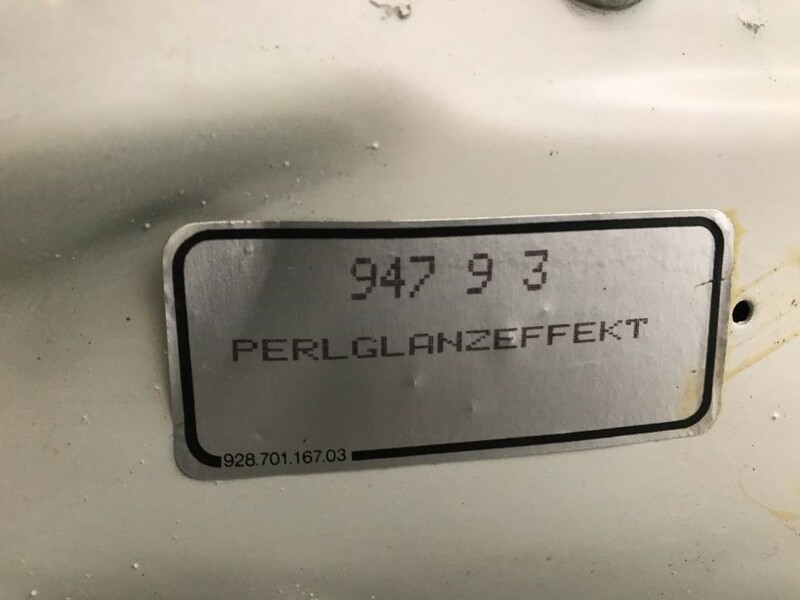 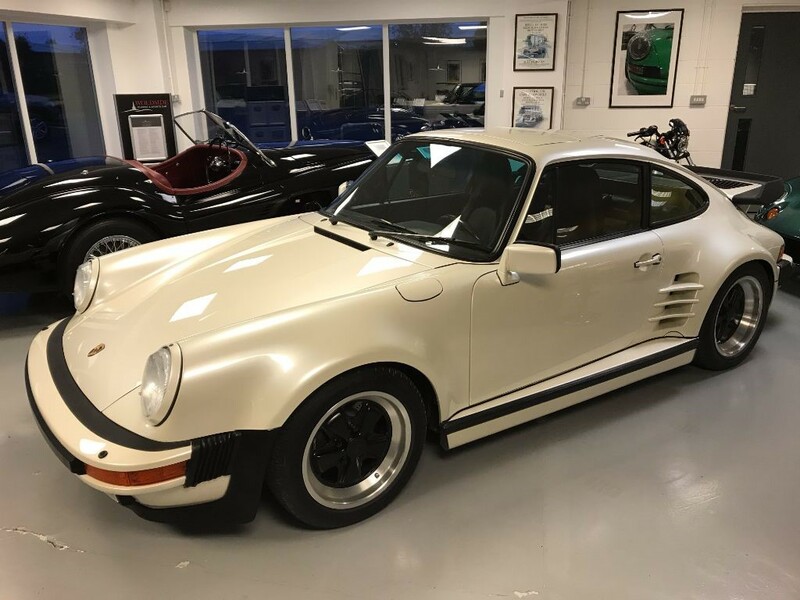 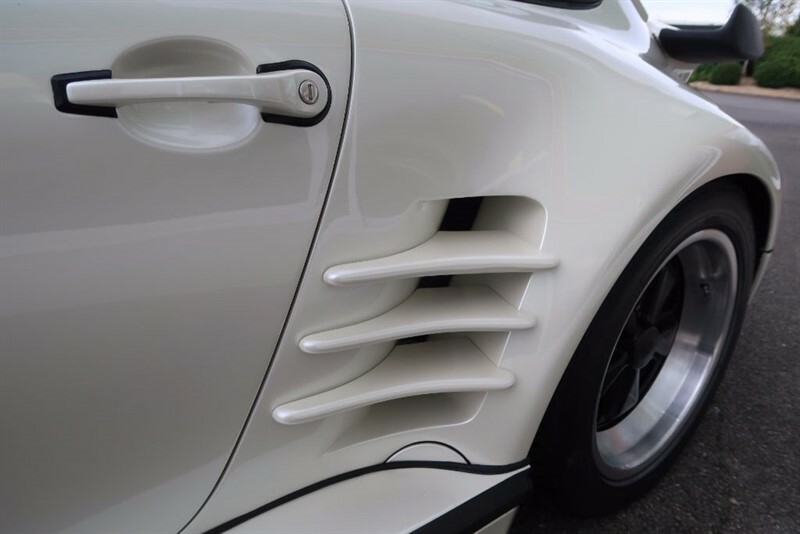 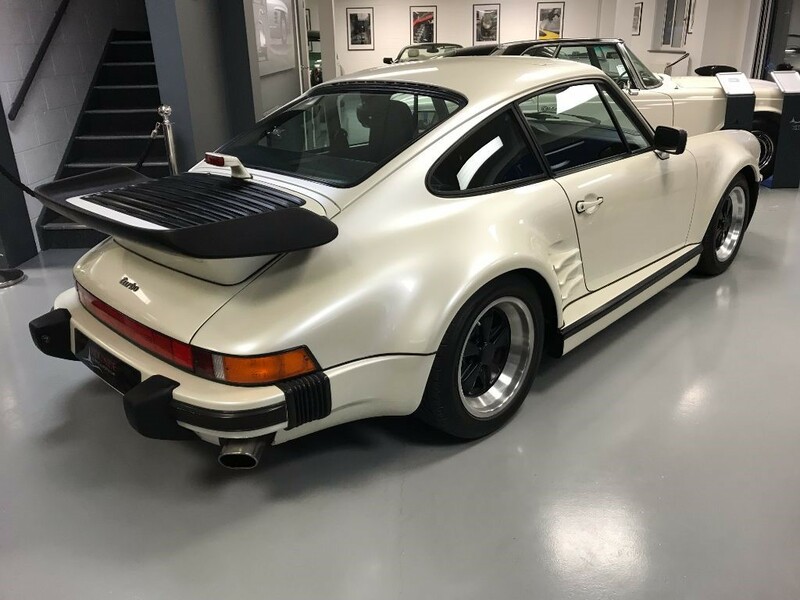 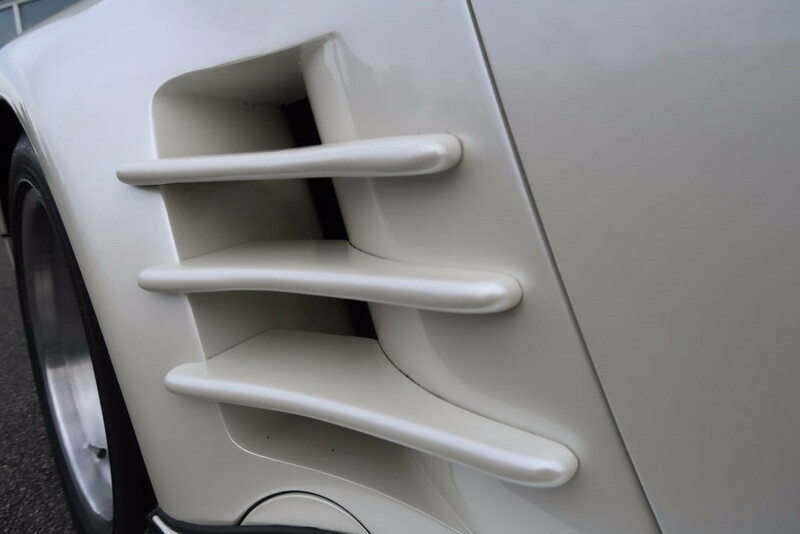 According to the Porsche Certificate of Authenticity this very special car that we are pleased to offer was manufactured in April 1987 in special order colour to sample 947 'Pearlglanzeffekt' Pearl White Lustre with black partial leather seats specially trimmed to Porsche 959 design. 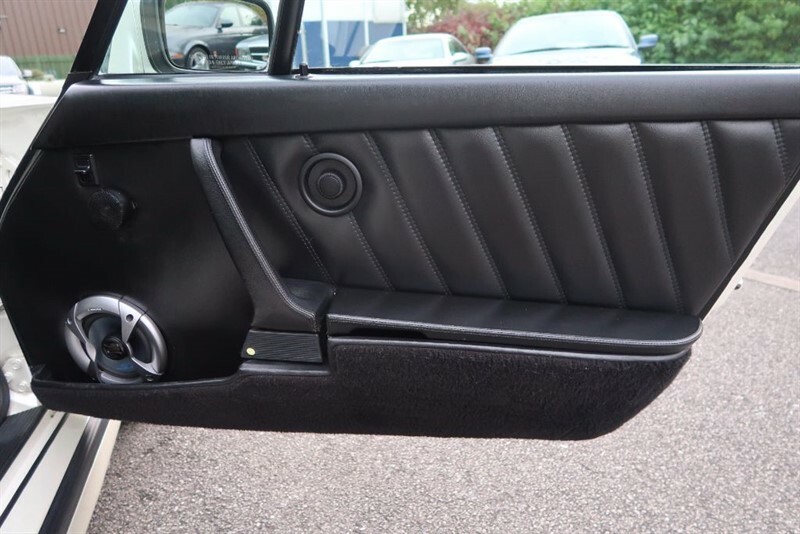 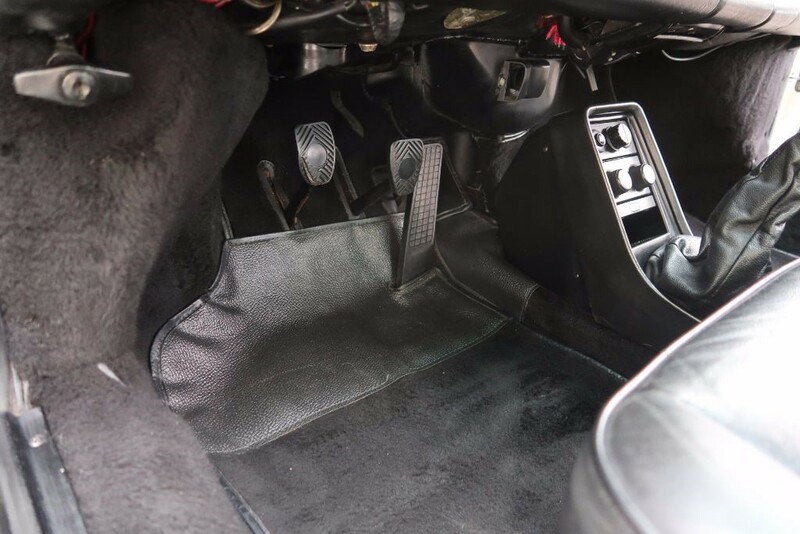 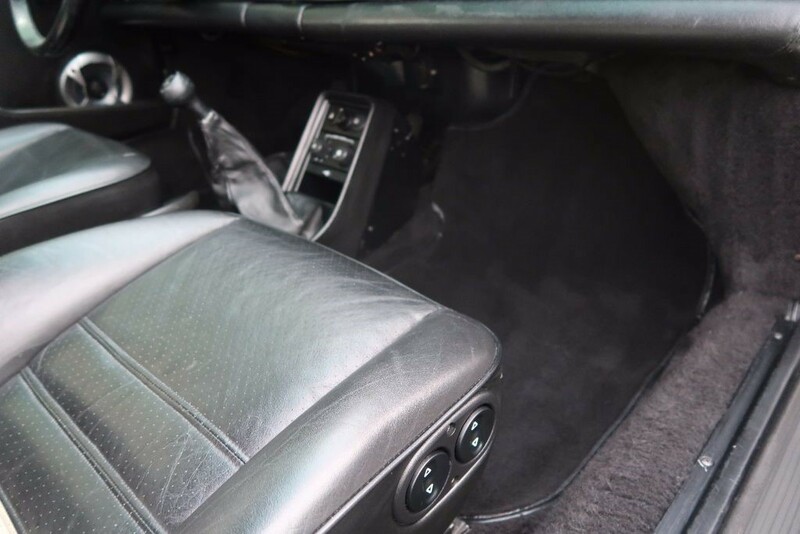 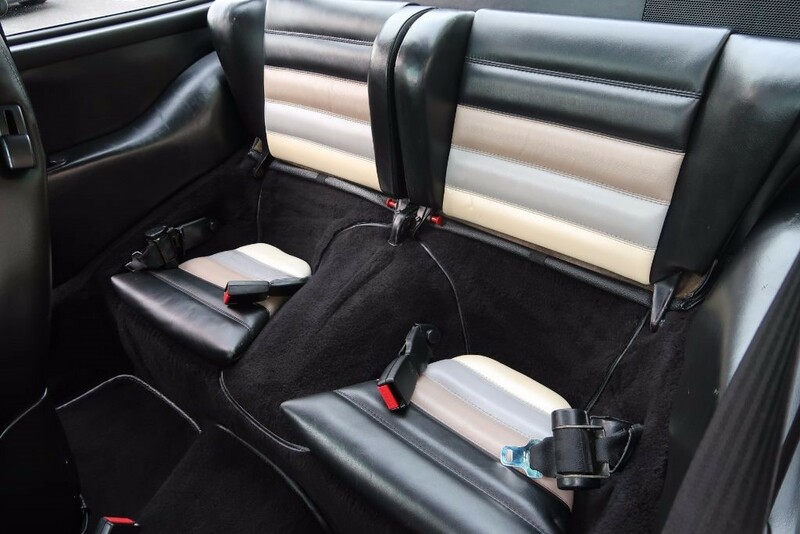 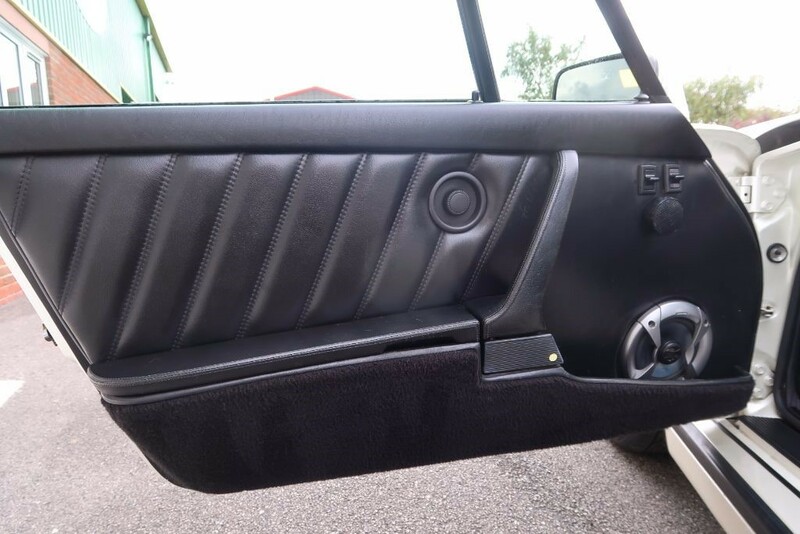 Other options included a Limited Slip Differential, Sports Seats with electric height adjustment left and right, Electric Sliding Sunroof, a Blaupunkt radio and alarm. 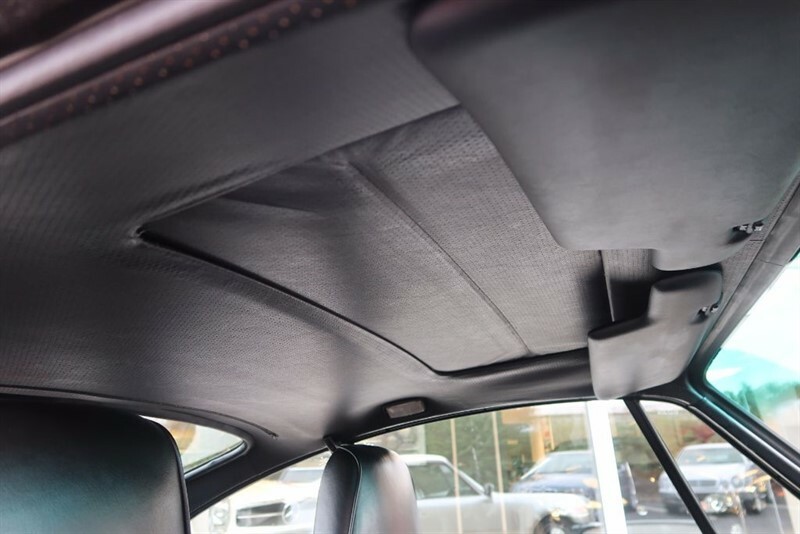 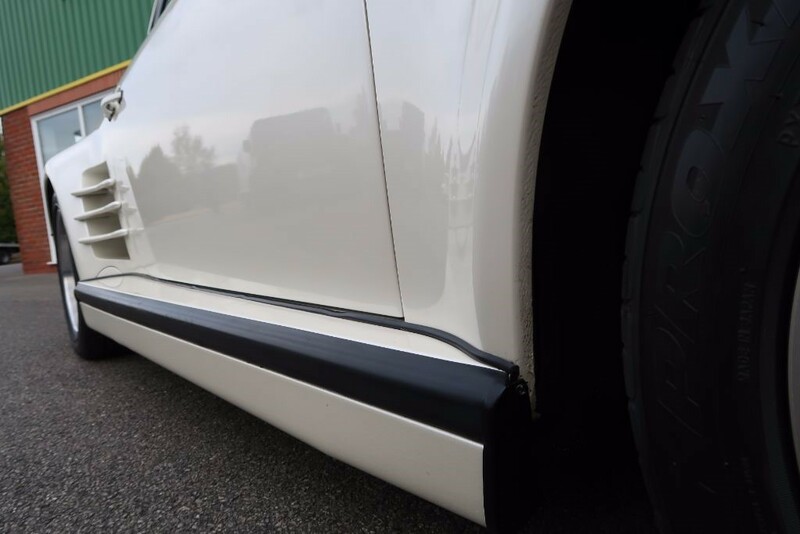 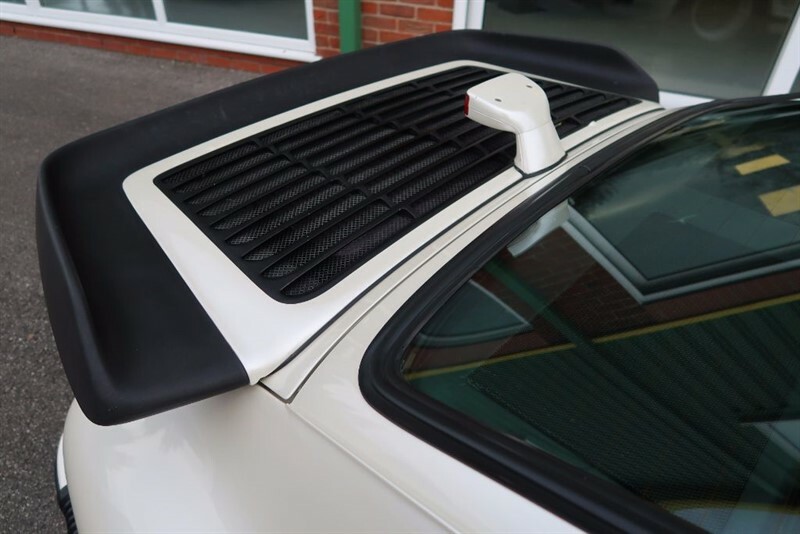 The car also benefits from the striking rear quarter side cooling vents and sill extensions as per the SE model. 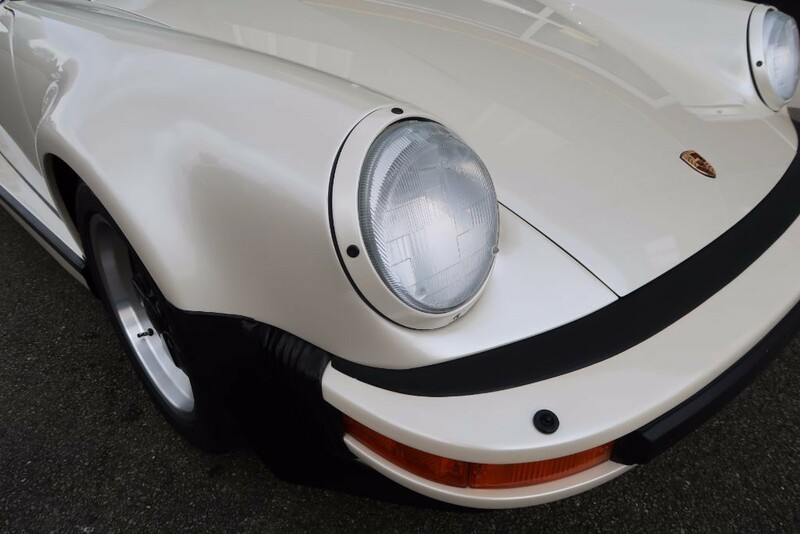 This matching numbers example is really an eyeful and is of the highest quality. 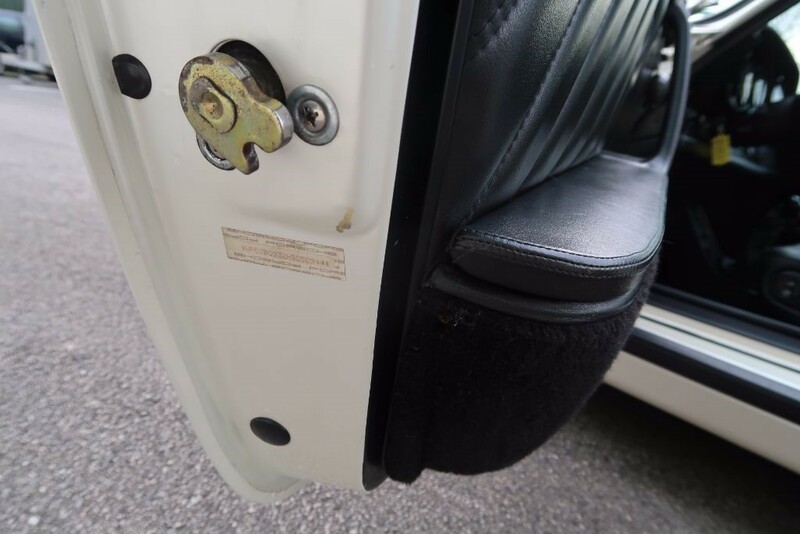 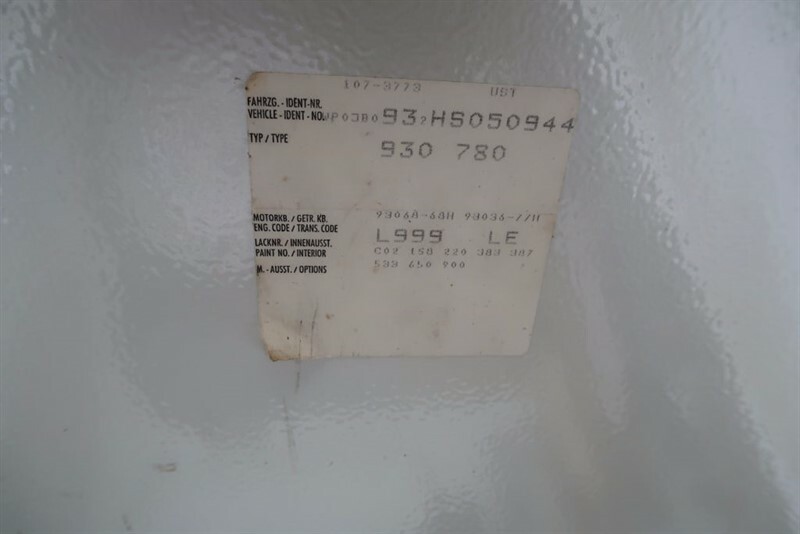 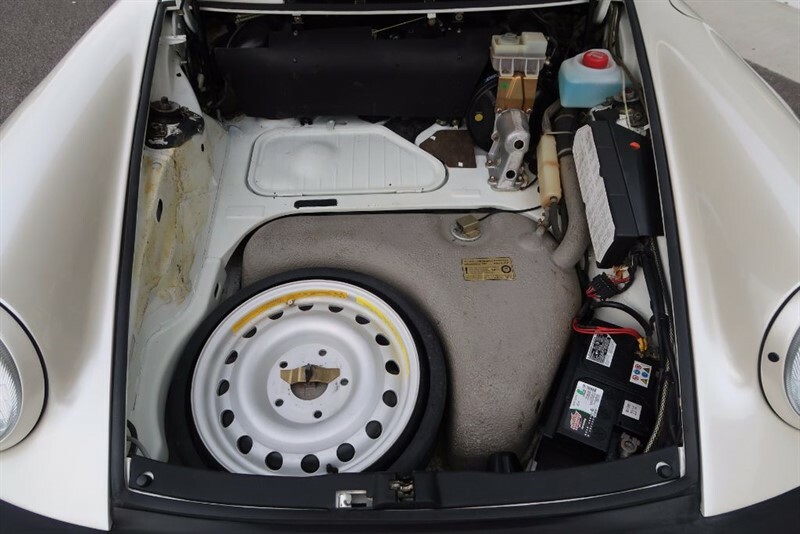 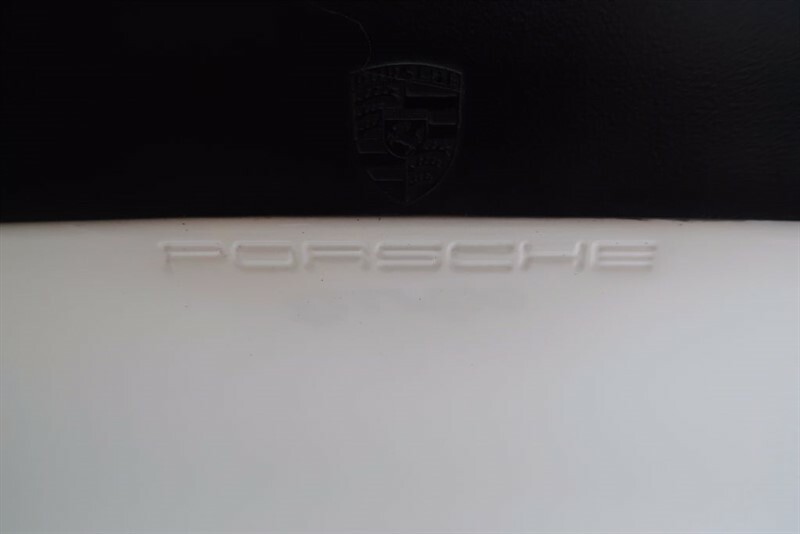 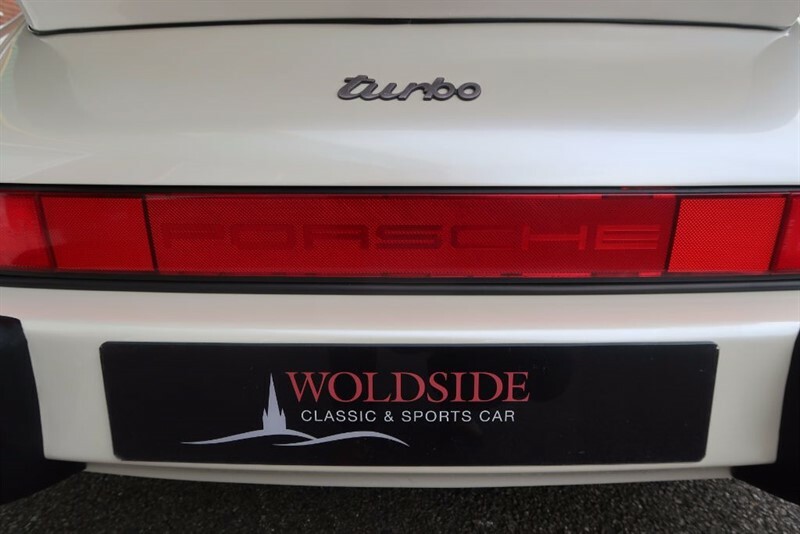 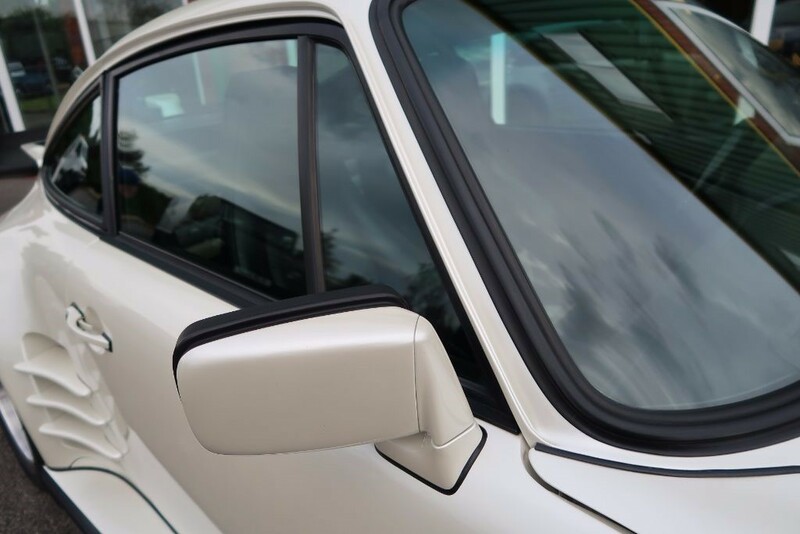 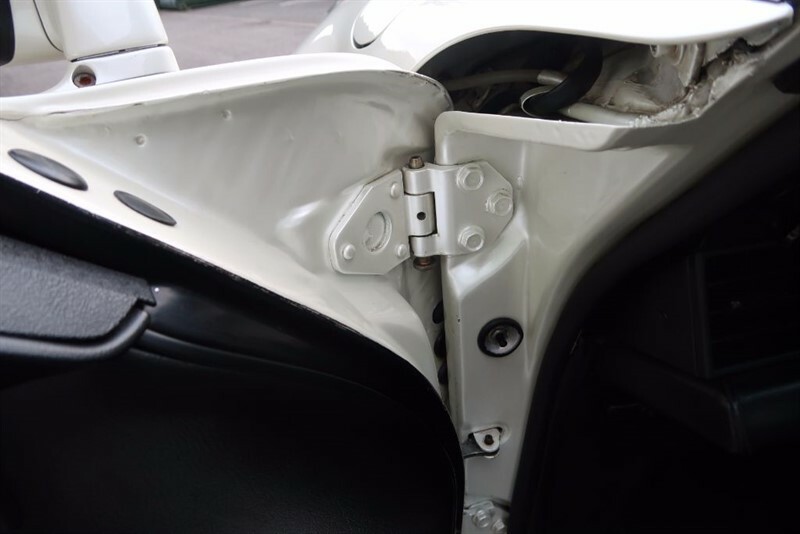 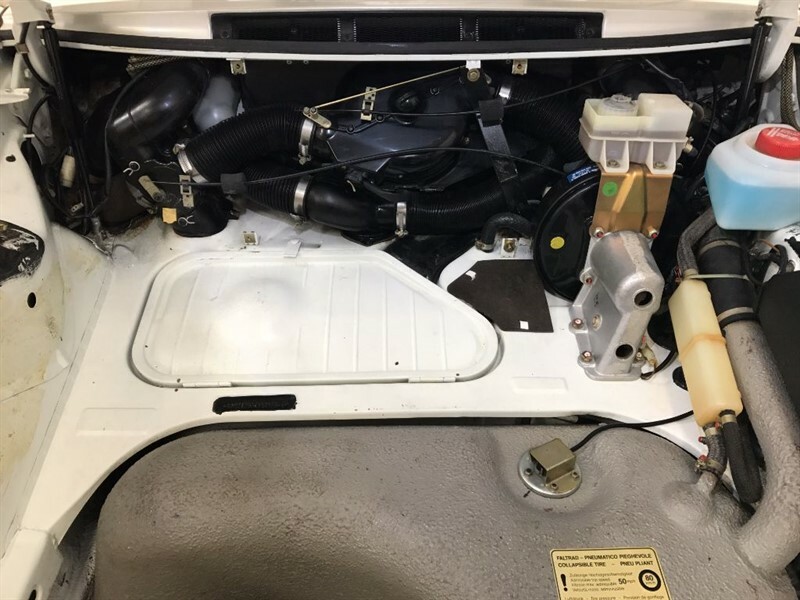 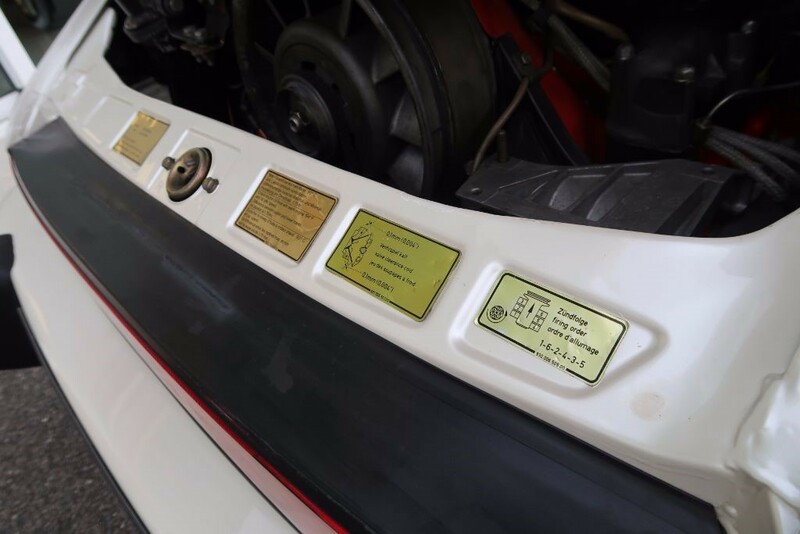 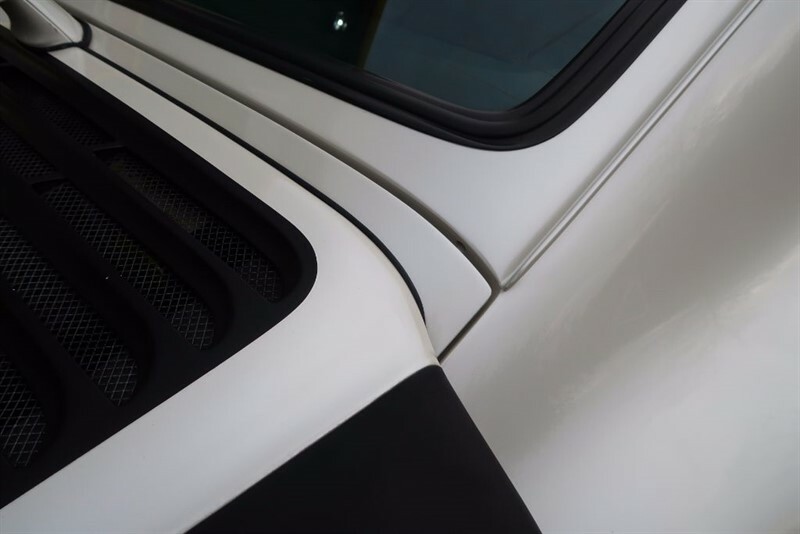 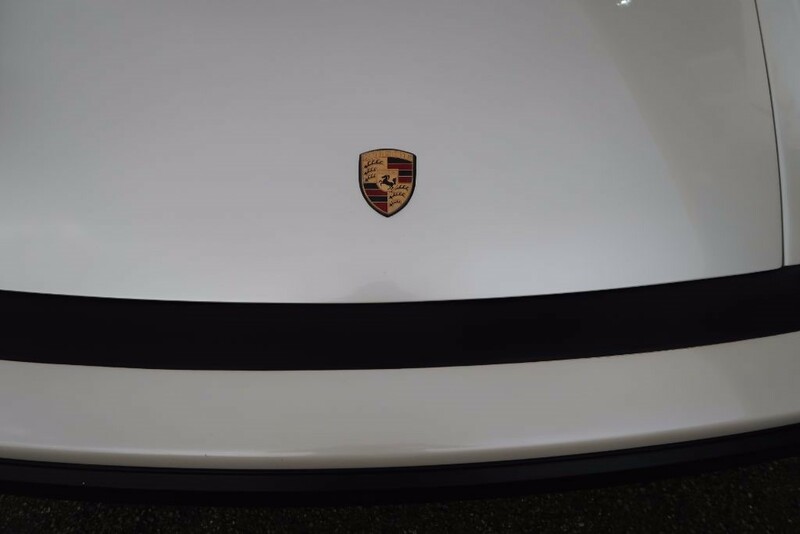 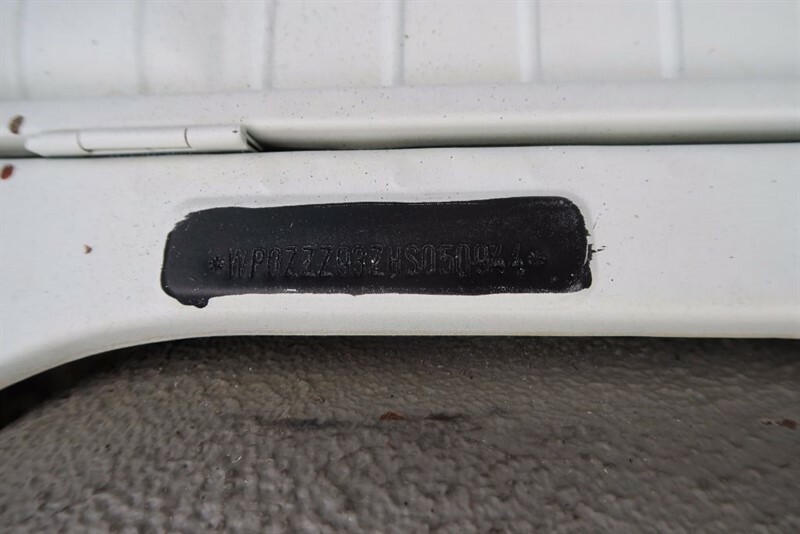 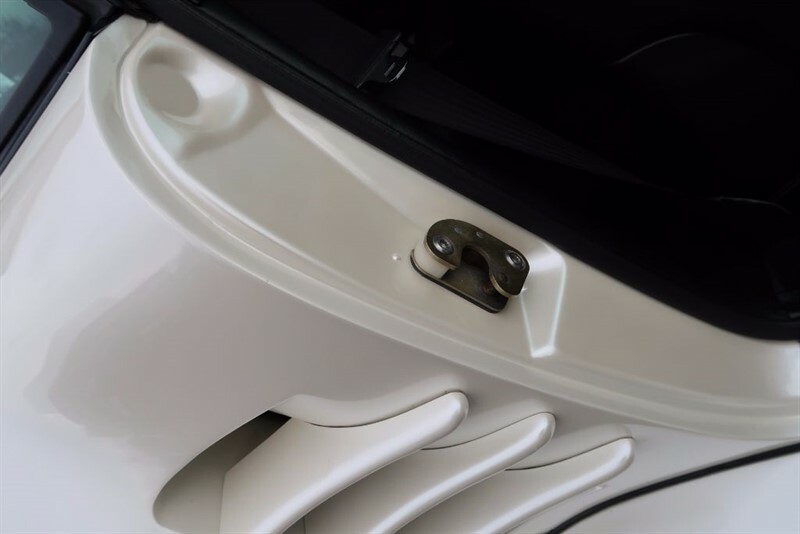 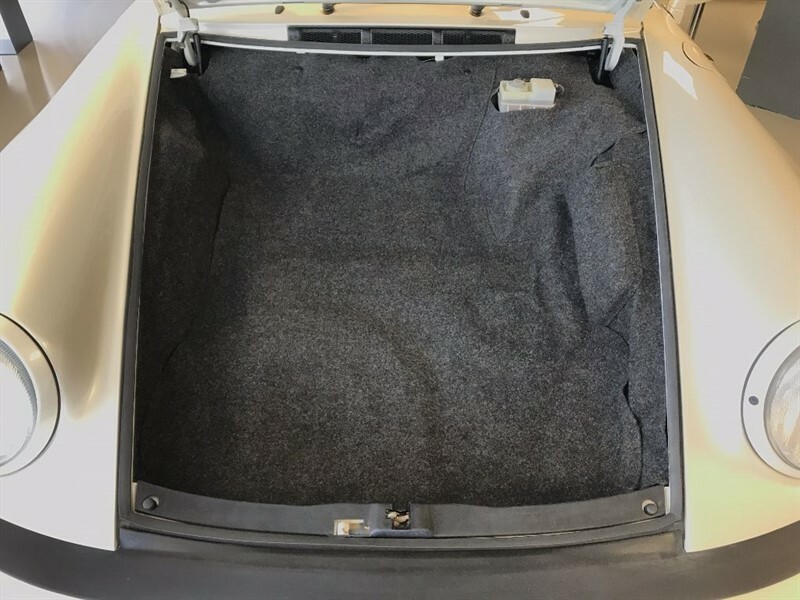 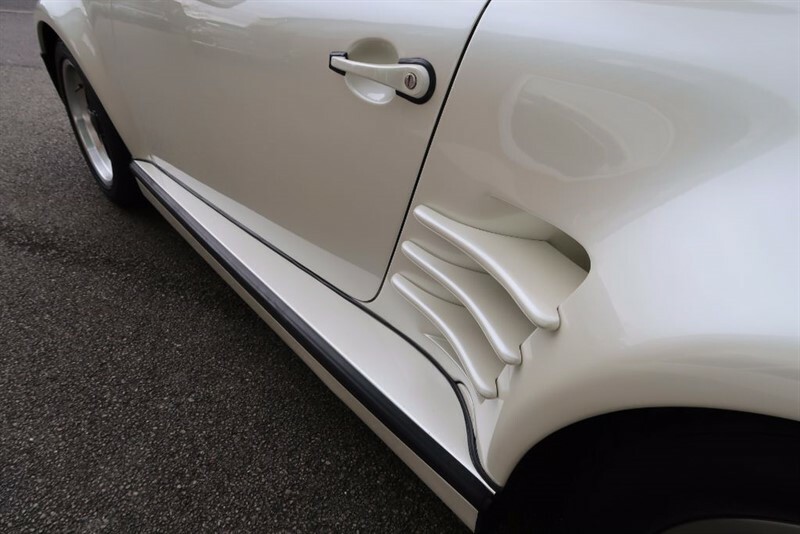 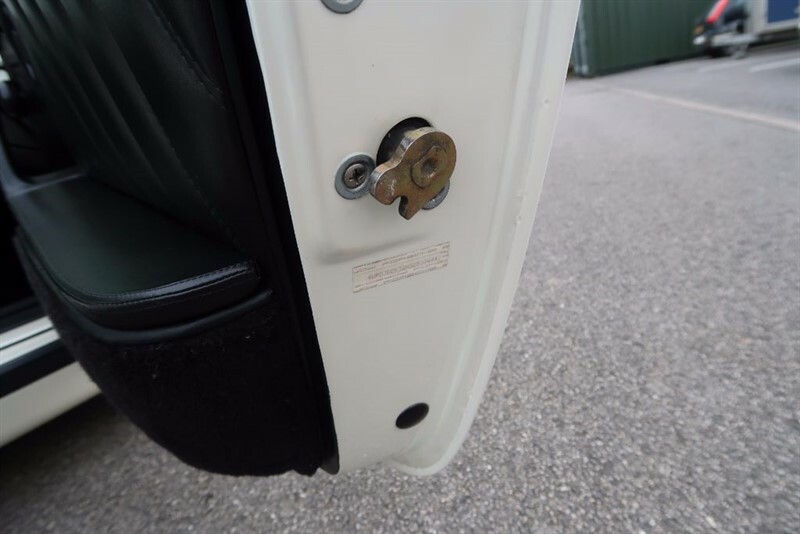 It is an un restored car with the factory applied VIN stickers all remaining in place, being properly affixed to the Porsche's rear engine cover, front compartment, and both doors. 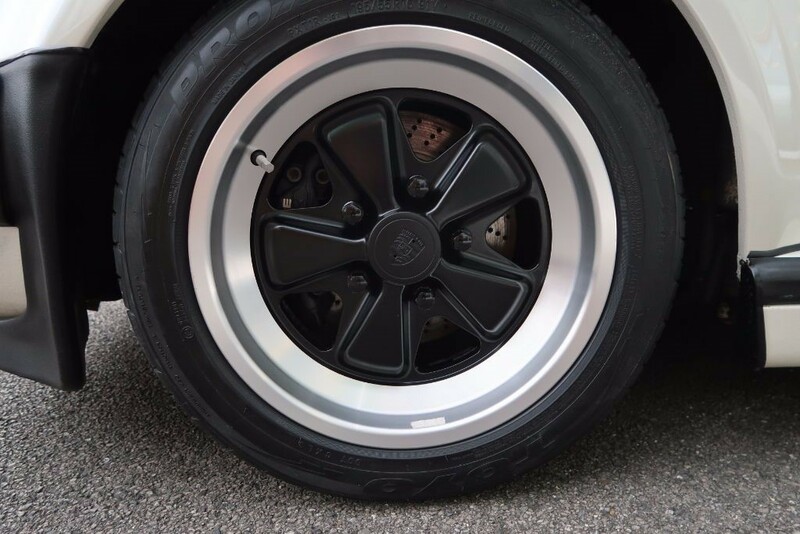 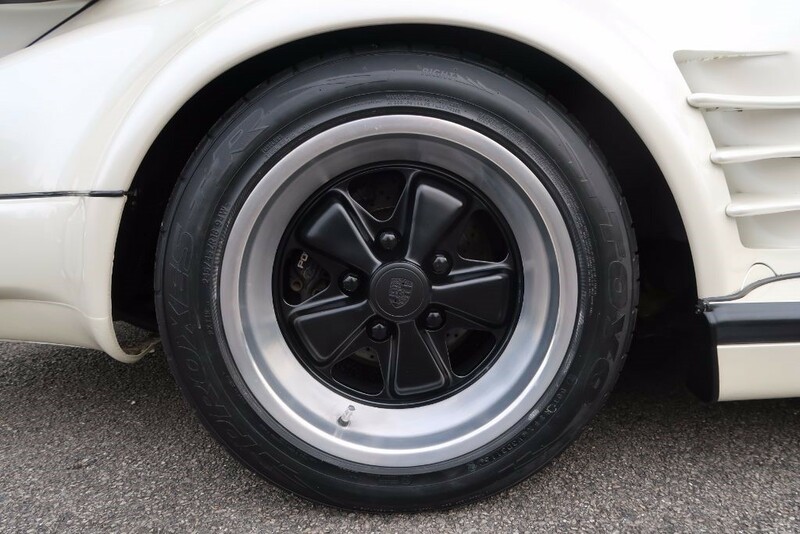 Presented on perfect 16" Fuch alloy wheels with recent Toyo tyres, externally our car is simply stunning, in the sunlight, the pearl effect paintwork gleams. 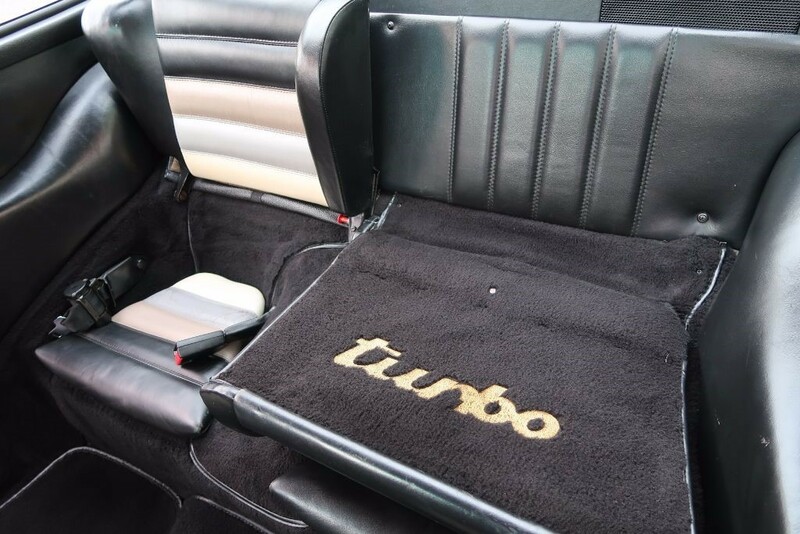 Inside is as impressive - the original seats and carpets show minimal wear with a lovely patina. 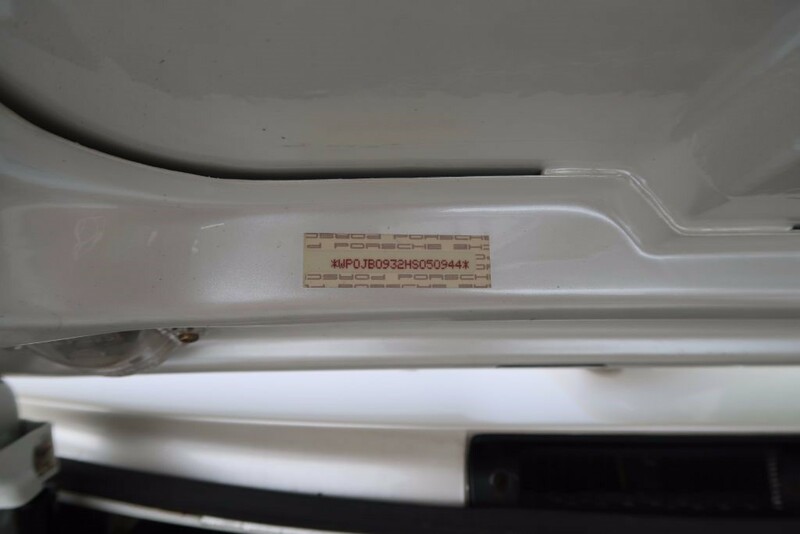 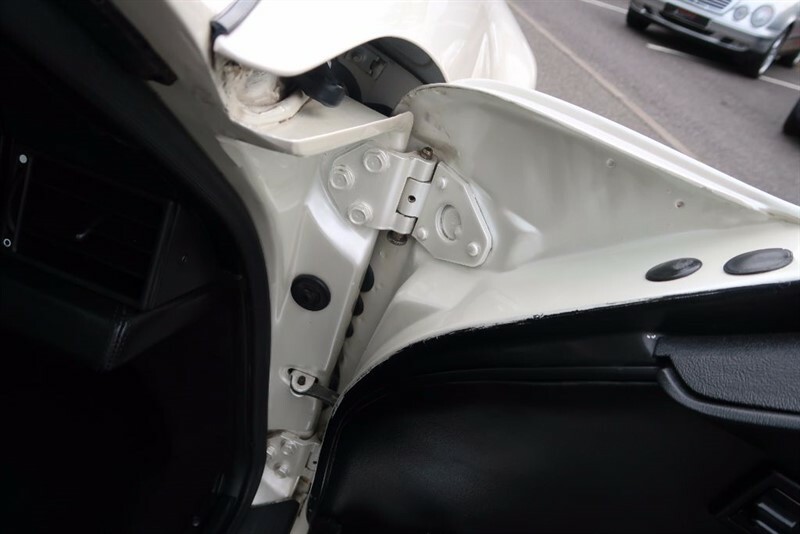 The underside of the car, unlike most UK cars, shows no corrosion and there are no signs of previous repairs. 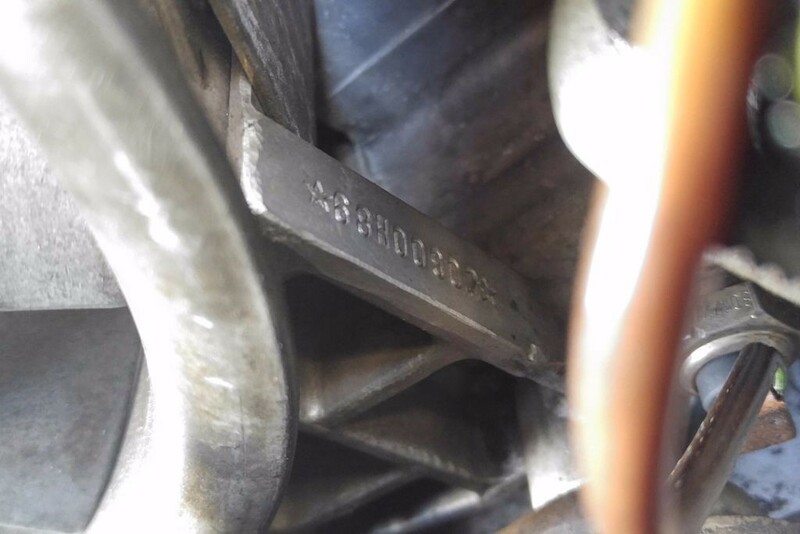 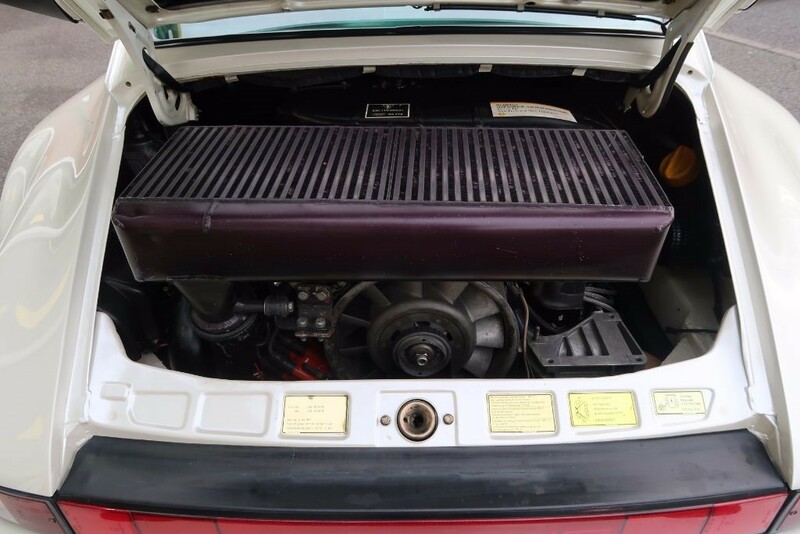 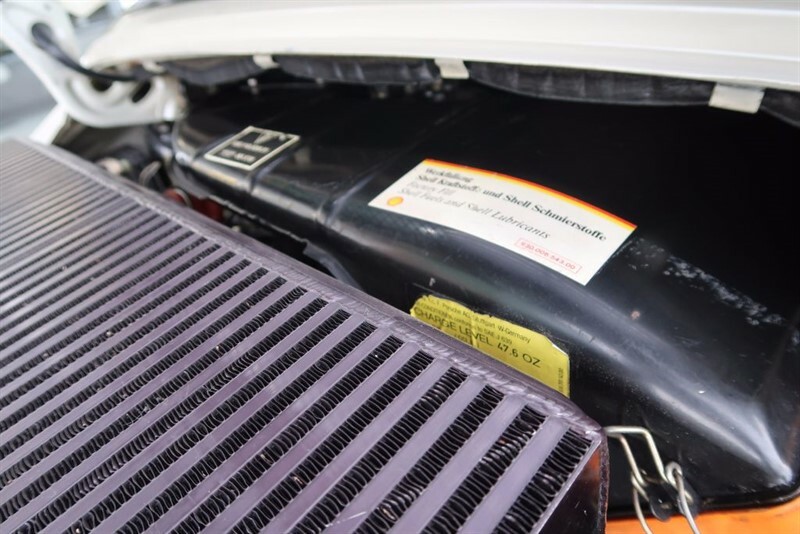 Open the engine compartment and you will see a larger than normal intercooler and twin exit sports exhaust pipes to further enhance an already very powerful car. 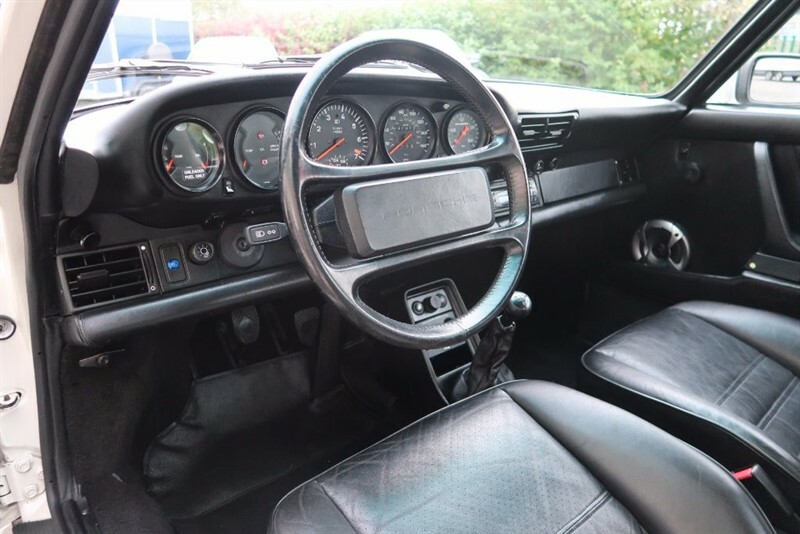 On the road this car is nimble and feels much younger than its 30+ years. 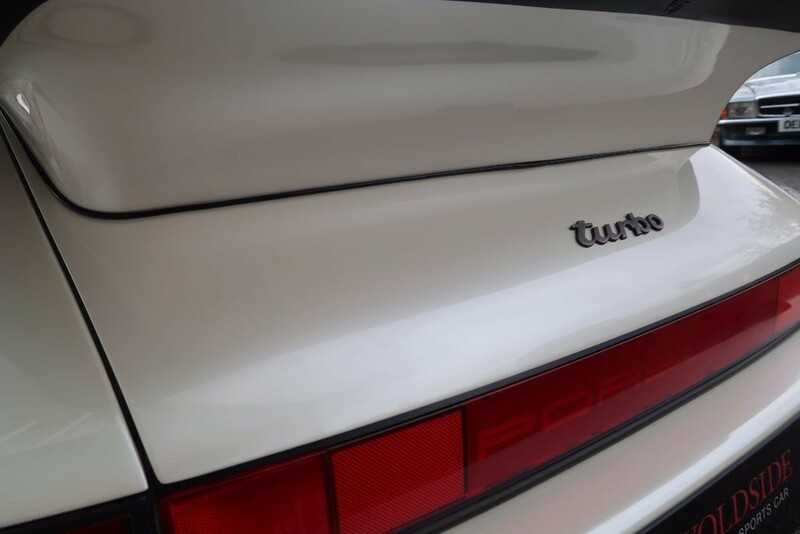 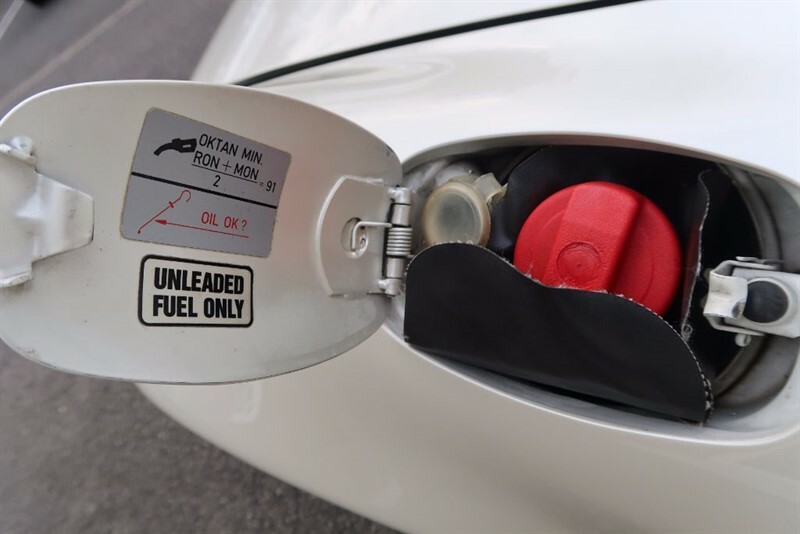 The turbo charged engine pulls strong and hard with very little turbo lag. 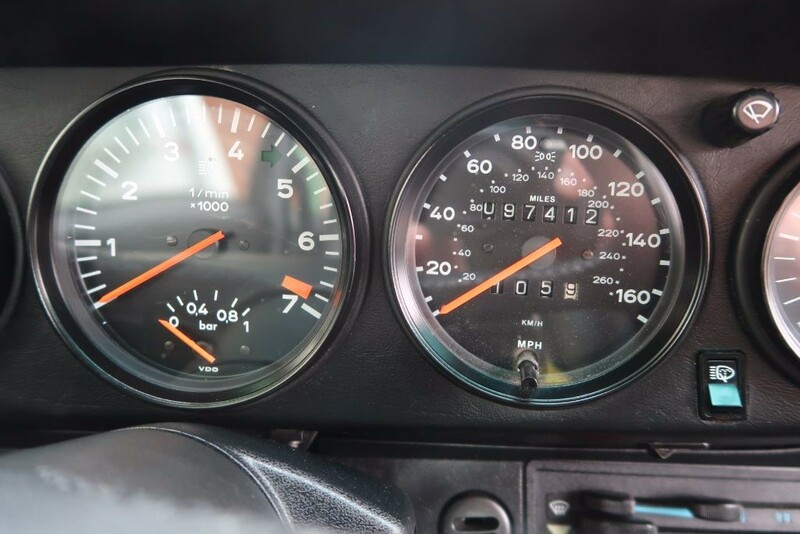 The gears are slick with no transmission noise and the syncro's are good. 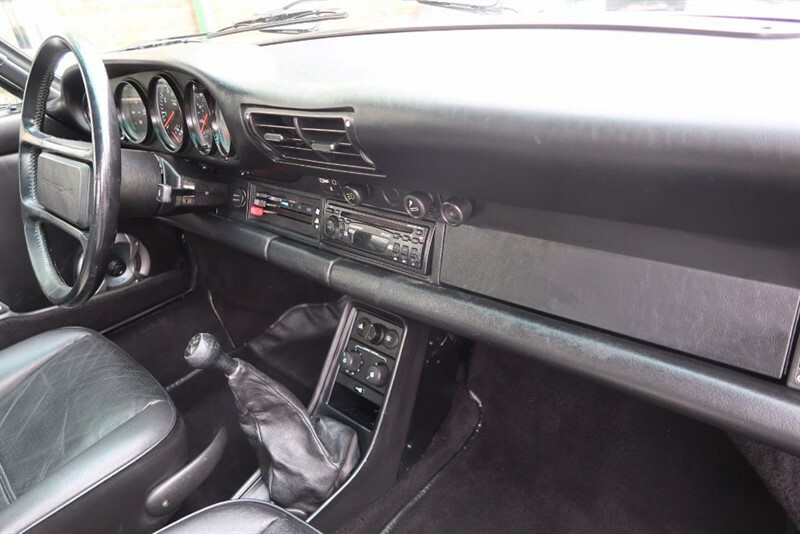 The steering is dead straight ahead with no wander or vibrations and the brakes pull you up sharply with no judder. 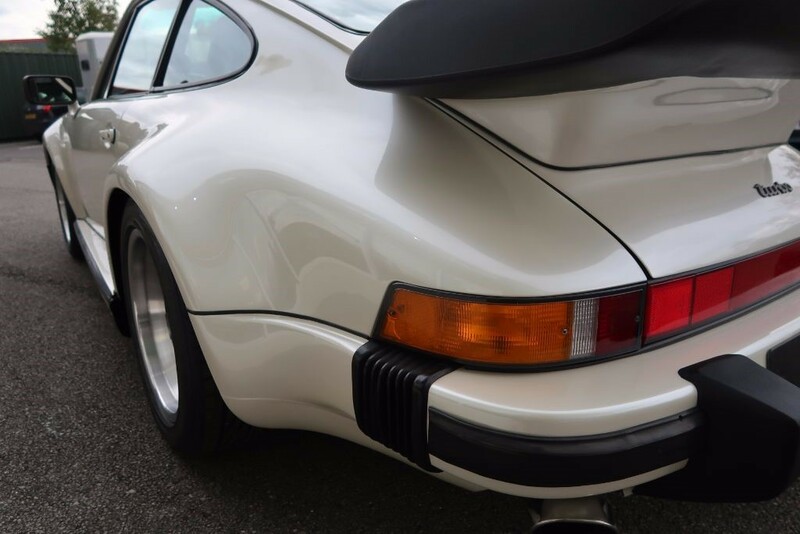 If you are in the market for one of the most important, easily recognisable sports cars of our era, this car should be considered. 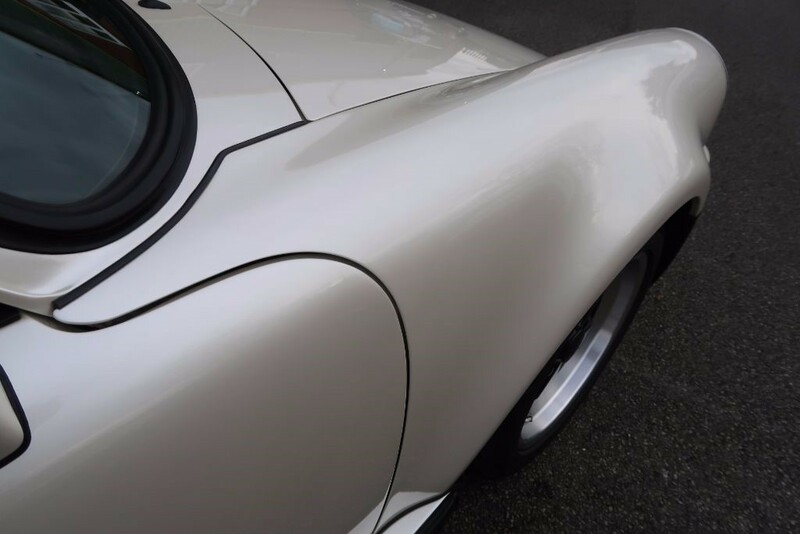 I repeat myself perhaps but this is an un restored car with no corrosion in beautiful condition. 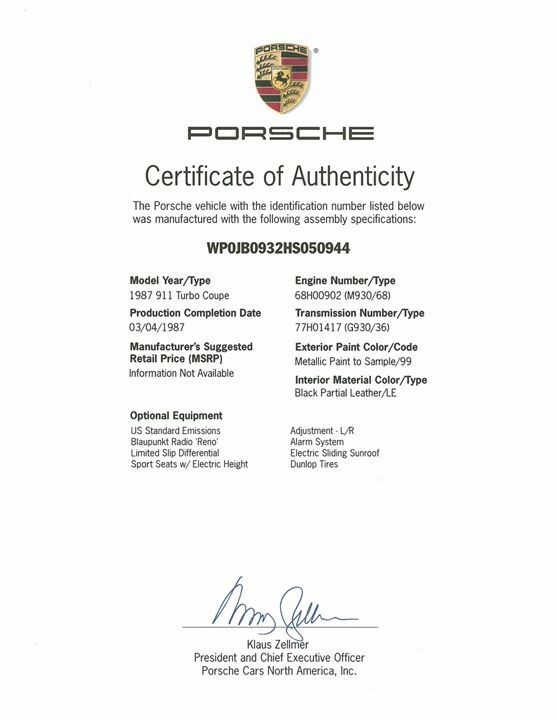 We would welcome any inspection and would make our workshop available if required. We would also assist in arranging transport arrangements overseas.